If there’s one thing I look forward to about the summer months, it’s the re-arrival of Estee Lauder’s Bronze Goddess. 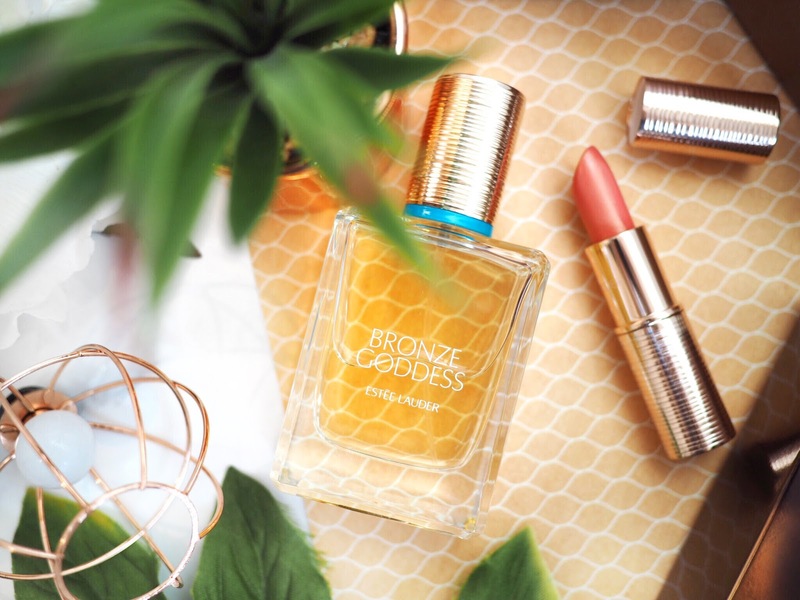 Nothing screams ‘summer beauty’ more than the Bronze Goddess range and the fragrance is one of my most reminiscent scents – bringing back all my summer vibes and memories in an instant. 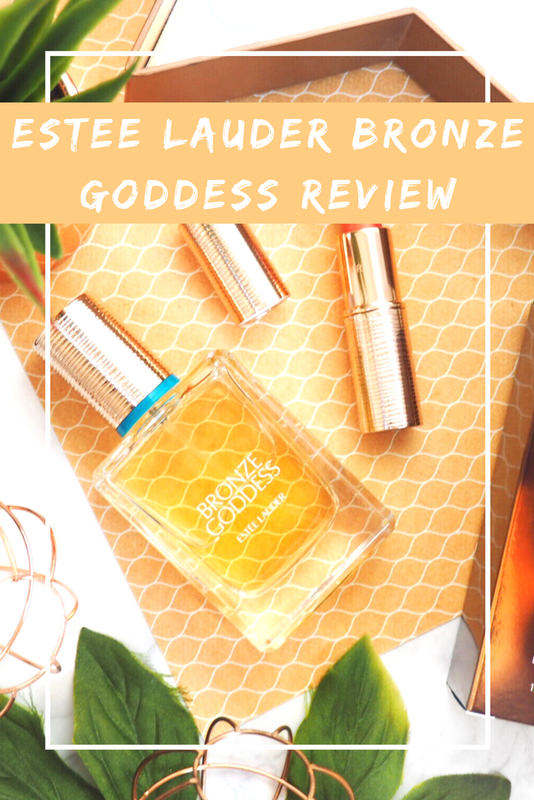 It’s fair to say that the Bronze Goddess collection is one of my yearly favourites from Estee Lauder. If you don’t know much about the range, it’s their annual summer launch and features their trademark fragrance. This year also had some amazing looking highlighters which made my inner make-up addict self drool at the sight of them and a Body Scrub and whipped body cream too. The range embodies everything you’d need for summer beauty and it doesn’t go wrong at all. I literally want to snap everything in the range up! The Bronze Goddess fragrance itself comes in two different forms – the first is the Eau De Parfum and the second is the Eau Fraiche Skinscent (which is the one I have) and it’s a lighter way of wearing fragrance that’s perfect for summer because it lasts by sitting on your skin and lightly scenting it for longer. 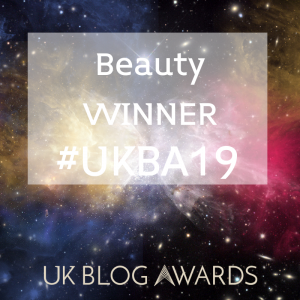 I find it works in the same way as a strongly scented body cream or lotion – you can smell it on your skin for hours afterwards, and because it’s a Skinscent it bonds itself with your skin’s natural scent and fits in with that. Meaning I wouldn’t be slightly surprised if it smelled slightly different on everyone. The fragrance itself is pure summer in a bottle. It truly is. You can’t get much more summery than Bronze Goddess – one sniff and you’ll know why. With a rich blend of bergamot, warm amber, Tiare Flower and vanilla…well, you’re getting the idea already. But throw in the coconut and you’re instantly prepared for a pure summer fragrance…because nothing smells more like summer than a bit of coconut in the mix. Altogether these notes create the most sensual scent that’s rich and luxurious as well as being exotic. It’s everything a good summer fragrance should be, without being too over the top or too heavy. Combined with the trademark quality you know you can expect from Estee Lauder, and the perfume itself is classy and makes you feel like you’re wearing something exclusive. I’m not usually overly keen on summery fragrances – I like my fragrances to be musky and heavy, so ‘winter’ scents tend to be more my thing. But Bronze Goddess manages to find that musk level within a summer scent – something that’s very rare in fragrance. I love wearing it during the day at the moment because being so heavily pregnant there’s no holiday for me this summer (sad times), so I just spritz this on and remember holidays past and live in a moment of summer love while I enjoy it’s scent. I love how good fragrances can take you back to past memories and really rile your senses. And Bronze Goddess does this for me every time. This year I also got to try the Bronze Goddess Limited Edition Summer Lip Glow in shade Sun Blush. This gorgeous light lipstick is everything you’d want to be wearing this summer. Unlike a pure block colour lipstick, this shimmery effect lip glow is perfect for the metallic lovers because it’s got that sort of finish to it – it’s a golden pink metallic glow which adds dimension to the lips. A light lip product, so it’s perfect for day-time wear, I also love to use this as a top coat over other lipstick shades during the evening for a bit of dimension. That’s how much of a versatile product it is to have in your collection. I can imagine this being perfect for a day on the beach or by the pool because it’s light and easy to wear and the shade is pretty and feminine and completely versatile for all skin tones. 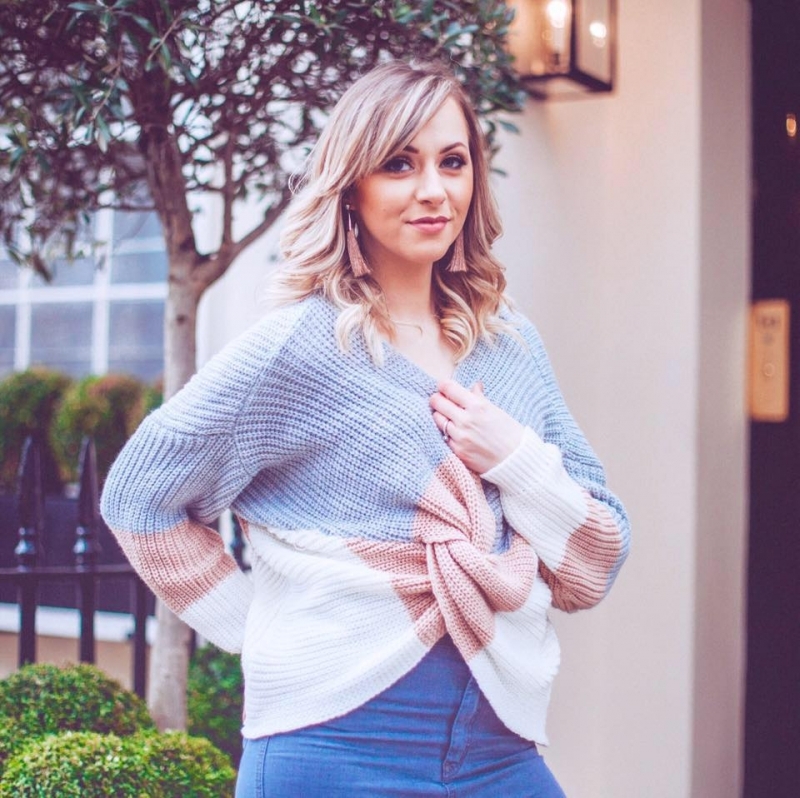 For me these two products are the Dream Duo from the Bronze Goddess collection this year – but we really have been spoiled for choice by Estee Lauder with such an amazing range. If you’re going to pick up any goodies from this range, it needs to include these two – the perfect fragrance and the perfect lip shade for the hotter weather and the summer months.